Lifeguarding is a highly rewarding occupation requiring strong service oriented individuals, a high degree of personal fitness, and a strong grasp of emergency techniques. It is a very competitive field. Individuals seeking employment as a lifeguard require the best training for the best positions. 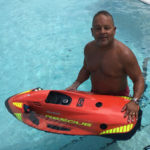 Lifeguard Services provides highly experienced lifeguard training courses for both beach lifeguard certification and pool lifeguard certification. 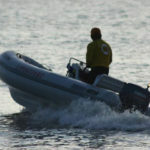 Lifeguard Services is a recognized expert on aquatic safety and a foremost educator of lifeguards in South Florida. Lifeguarding Services offers the full American Red Cross Lifeguarding course for both the pool lifeguard certificate and the ocean lifeguard certification. These are two separate courses. It is important for all candidates to match the skills that they train for the employment that they seek. Lifeguard Services offers lifeguard recertification for both course paths. Additionally, it is not uncommon for individuals to train both certifications. The full lifeguarding certification, which includes First Aid, CPR and AED training, is valid for two years upon successful course completion. American Red Cross certification is accepted nationwide. Lifeguard Services provides courses that are designed to be hands-on. 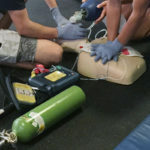 Approximately 15% of the Lifeguard Services course is formal lecture and 85% of the course is hands-on, practice use of rescue techniques and associated lifeguard training equipment. Lifeguard Services provides all course books, materials, and testing. Lifeguard Services begins lifeguard training after each new class fills. Once there are enough students in a class, training will take approximately 24-26 hours to include the testing. Additionally, students must be 15 years old by the last day of class and pass a pre-course swimming skills test prior to course start. These minimums are required to attain American Red Cross lifeguarding certification. Water safety is not a perfect science. It is always being improved and developed. 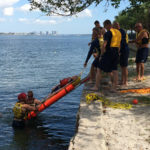 New research, new techniques, and new equipment are common developments as a professional rescuer. Lifeguard Services is responsive to these developments. Current students are always taught the latest methods within the aquatic lifesaving field. Former students can use Lifeguard Services to confirm and verify the latest developments in water rescue training and water safety. After successful certification, we remain a resource to our graduates. 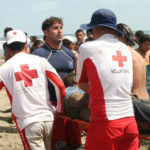 Lifeguard Training – The American Red Cross provides a nationally recognized certified lifeguard training. Students learn the basics of water safety and the proper rescue protocol when responding to emergencies in and around water. Lifeguard certification is a two year, renewal certification. Students must be at least 15 years old and pass course specific swimming requirements prior to starting training. Safety Training for Swim Coaches – The American Red Cross provides safety training for USA Swimming and Y USA organization’s Coaches Safety Education requirement. Students must be at least 15 years of age by the end of the course and must be comfortable in chest-deep water. This is a two year, renewal certification. Lifeguard Services offers lifeguard recertification through the American Red Cross. Lifeguarding certification is good for two years. Employed lifeguards must recertify within 30 days of the date on their certification card in order to prevent a lapse in their certification. 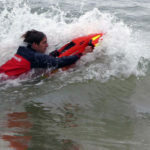 Recertification is a separate class that provides a refresher on emergency techniques and updates the lifeguard on the latest developments in water safety. Lifeguard recertification courses begin when a class is full. These classes don’t take as long nor are they as large as normal waterfront lifeguard certification. Lifeguard Services offers comprehensive training for beach, waterfront, or pool facilities. This method is generally offered by either the supervising department or the business. Advantages include full training of all employees at the same time under your supervision. This method eliminates a large on-staff training team. 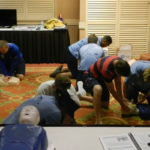 We provide First Aid, CPR, and AED training in addition to any site-specific training required. Lifeguard Services works closely with your leadership to provide a superior educational experience for your staff or team.